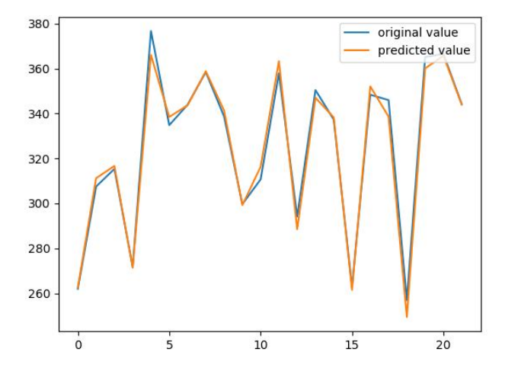 In this part Real Time Stocks Prediction Using Keras LSTM Model, we will write a code to understand how Keras LSTM Model is used to predict stocks. We have used TESLA STOCK data-set which is available free of cost on yahoo finance. Please download data-set from here. On the other way there will be different dependencies which will also be downloaded to run this code. We are listing these as below. Python 2/3. Please download python by visiting here. Matplotlib to see the prediction graph. One can download it using pip as below. Install sklearn to split the dataset to training and testing part. Again this can be installing using pip. In windows you can locate pip/pip3 in python folder installed in c drive. Please go to python folder then finds Scripts folder. You can find pip there. Install Keras as it is the library which is used to implement LSTM architecture in its sequential model. One can install it using pip by following command. Line 1: Pandas is imported. This library is used to visualize the data as well used for manipulation of data. Line 3: Sklearn is a library which is used for splitting the dataset into training and testing phase. Not only this it is also used to normalise the dataset. Question is why normalisation is needed. Normalisation is needed so that every value/column is set to a specified range and machine can learn dataset more accurately. Line 4: Since we need to convert the dataframe into matrix hence numpy is used. It converts data into array. These arrays are fed to machine for training purpose. Line 6: Output is predicted using dense layer and hence this layer is also imported from keras. Keras has a property to add or subtract new layers. Line 7: LSTM is imported from keras.layers because keras supports deep neural network as well as activation layers. Line 9: Mean square error is imported from sklearn module metrics. Line 10: Dataset Tesla Stock.csv is read through pandas here. I have shared the link for the dataset above but if any one has not downloaded from above please do it from here. Line 11: As we can see that row first is having the unexpected value of date so it is ignored. Line 13: Since we need data columns as open, high, low and volume, hence we did data frame slicing and column 1 to end belongs to data. Line 15: Data in data frame is changed to numpy array. Line 16: Values in the data are converted into float32 datatype. Line 17: Scalar variable is created which is used to set the value of data in range 0 to 1 to normalize data. Line 18: Transformation for normalization is applied to the data. 357.965 363.06 359.7 358.49 350.48 341.17 347.87 343.92 346. Line 27: X_test is reshaped in three dimensional for prediction as data is passed in batches and each batch should contain samples and features. Line 30: Dense layer is used to predict the output which contains single neuron to do this. So in this tutorial, we have learned about keras, LSTM and why keras is suitable to run create deep neural network. We have also gone through RNN architecture and problem of vanishing gradient being solved by LSTM. We have also gone through the architecture of LSTM and how it stored the previous memory. At the end we have presented the real time example of predicting stocks prediction using Keras LSTM. I found this tutorial very useful. You can also find different loss function which helps to solve different problems. Please see this link. Hope this may help you out. Hello, How are you. Hope you are fine. I found this link very useful. Thanks again for sharing the link.